I'm off out later for a friends birthday. I gather she likes Pug-zu's! 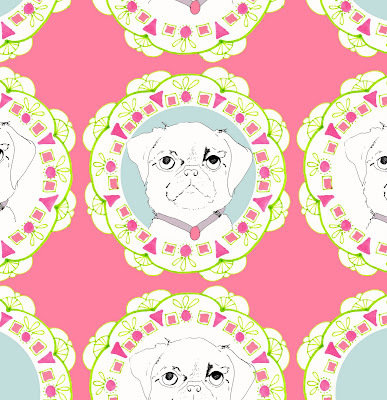 For the occasion I have made her a cushion with a Pug-zu on it. With the left over sketch I created another pattern.